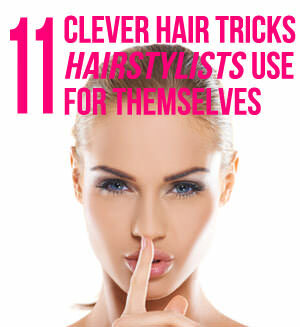 Have you ever wondered how the heck your hairstylists hair always looks perfect? For starters, hair is what we do for a living, so we know a thing or two about how to make it look it’s best. You’d be surprised that many hairstylists are quite low maintenance with their own hair though and have ways of making it look good without spending tons of time primping. An awesome hair site I blog for, Latest Hairstyles, recently asked me to divulge some of our secrets for you to use at home. Check them out here.